Discovery 1 200tdi 3 Door Window SwitchesGood used working conditionSome marks and wear from useAs s.. Discovery 1 200tdi Heater Matrix/Complete Blower Fan Box BTR6372Complete heater control boxRemoved f.. Discovery 1 200tdi Heater Matrix/Complete Blower F.. 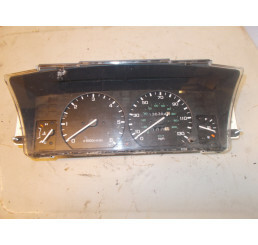 Discovery 1 300tdi/V8 Dash clocks in good condition with 136,000 miles on the clock. .. Discovery 1 300tdi/V8 Cruise Control Switch SetGood used conditionSteering wheel and dash buttons.. Discovery 1 Electric Seat SwitchesGood used working conditionPRC8094 PRC8095Switch lever missingAs s..